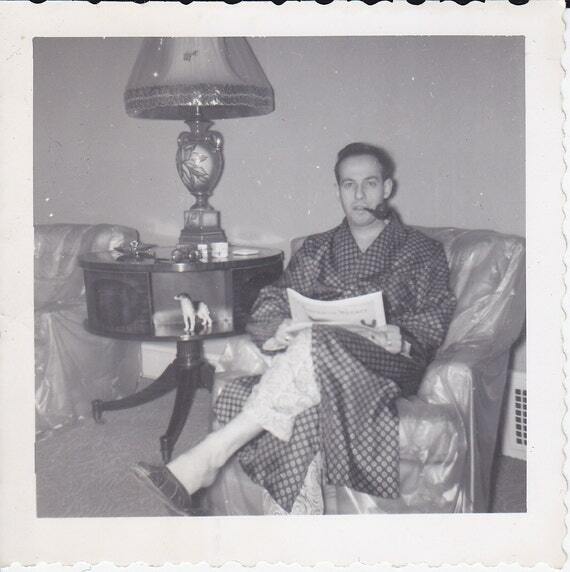 Surely as a man of certain years, cruel relatives have already bought you a pipe and slippers combo? Old frame tent and commode chair from any high street charity shop and you’re sorted. Maybe a trailer-tent you could strap the rowing boat into would do. Don’t forget the fishing rods. We do have a frame tent but after three days of scottish rain life is ubearable. I am afraid it will be a small touring caravan with a fan heater plugged iinto the lekkie – dinghy on the roof of the car and ebike inside the van. I will post dates of being on the road on here so that you chaps can avoiid the tail back I will be creating on those scottish roads. I paid £466 for the Heyland Trout. 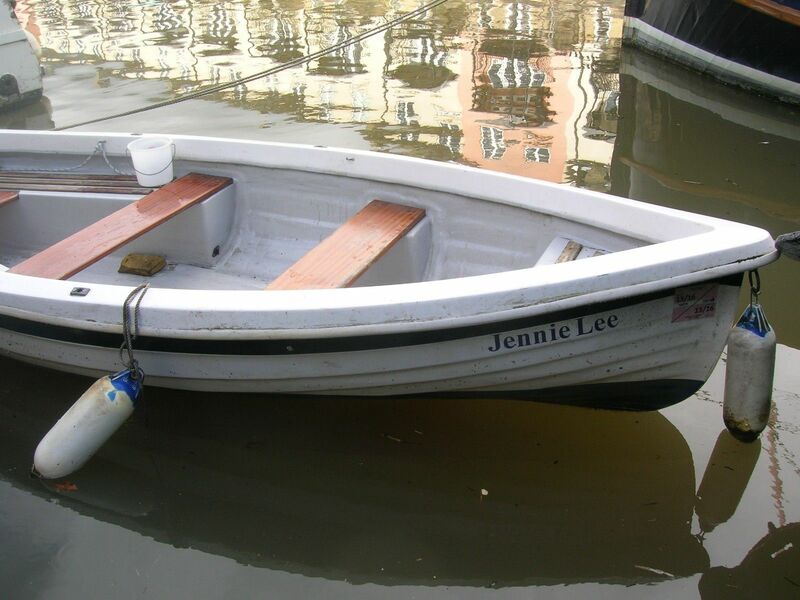 When Jill spotted what I had bought she said “not another dinghy” and said she missed the proper boat. I assume that photo was taken in your BBC days just before you read the news. That’s how I set up to sail on Sylvan Lake – 200 KM away. I got myself a holiday trailer so that I could travel down on Friday and overnight til Sunday thus sailing on the weekend. The marina operator will not let us slip renters overnight on our boats even those of us equipped with a galley and head. The holiday trailer was used. it came out of Fort McMurray and I purchased it after the wildfire for a very reasonable price. I hope that the dingy and the caravan fill the gap for you and that you will be back in a “proper boat” again soon! I shall be fit with the rowing. I will also stick the optimist rig in her. It will allow me to scratch the scottish itch. Whatever happened to that second boat that you bought that you didn’t use much? I am new to all this I’m only just started watching some of the series but didn’t you say you put one away Katie something nice little boat the one after the slug, also what’s stopping you doing what you did on the south coast In picking up another westerly as a project again ? Sorry about the confusion… there are two different time lines running. One on the website and one in the films. I am not very good at making films fast and probably spend too much time thinking about them… about ways of putting the images together so that they tell a cohesive narrative, researching the local history and geography and working on the pace of the films. I also move sound around a fair bit. You have probably never heard a plane or a passing out of shot mobo in the films. The last proper film had a 3,000 word script which I try to record in a good acoustic and match it nicely to the images. For a while I tried making and posting a film each week but the films got more and more pathetic – they got shorter and shorter and there was way too much of my jowly badly shaven face just yakking at the camera accompanied by a few wobbly shots. I reckon I can make about eight hours of decent films a year – films that people might still watch a decade from now. I also found that the more films I post the less each one earns. – la vag etc churn out 20 minutes a week which get upwards of 250,000 views. La Vag and Delos are really productive and apply themselves to film making with gusto…..but it is my guess that you chaps would rather not watch a 90 second shot of a 62 year old man exercising on the heaving foredeck of a Centaur in Scotland while wearing not many clothes. That would be humilating for both of us. I kept harmony for just on a year and sailed the socks off her. We packed a lot into eight months of ownership but the money ran out and she had to go – plus I promised she would go. It took me two years to make the films from that one year of sailing…. maybe that was a mistake. Just to keep you up to speed – I have eight more proper films in the can – unedited. Then I will have finally run out of material. Then I spent the following summer exploring the shallow bits of the the East Coast of Scotland in the 22 footer with full crouching headroom. I had dumped her in Edinburgh where she had sat in a dinghy park on the Forth. I took the boat all the way to the top of the Forth, Tay, Moray and Cromarty. Then I brought the Trailer sailer home and dumped it in the garden under a Tarp. I am currently editing those films so I will try to post most of those before the summer comes. Then I bought a cheaper Centaur in Cornwall for £5.5K and sailed that to the west coast for a second crack at this wonderful sailing area. I spent a summer up there filming (4 more films I think ) before again running out of cash. I sold that Centaur in Scotland in January after owning her for 13 months. I sold her for £8.5 K and that cleared the project debts – again. I have not been sailing in Scotland this past summer and I think that I am unlikely to get back there with a tough, warm, waterpoof boat this summer either. If the final films earn enough then I will follow through by buying a Fisher and starting again where I left off. If they don’t then that journey will have to go on hold for five years until the pension kicks in. Dyl., bit lost as to why you want another dinghy.. what happened to the lovely green one, or is this one significantly bigger?? This one is 11 foot 11 inches – the other one is just under ten. This could be two footisis of course, but I would never confess to suffering from such a disease. However, I offered to refurbish an identical dinghy belonging to the scouts over this winter. I used it a lot, it both rows and sails beautifully and it is much safer than the little one. This one takes two, a dog, a sail and can handle almost anything this river – and hopefully loch laxford – is likely to throw at me. Plus, this one is long enough for me to lie down in her. I plan to do some overnights if I am still tough enough. I love little sailing adventures and waking up in new places – but over the past year I have pretty much tromped over and up all the local rivers and want to see more of scotland. The project is not able to generate enough cash for me to sail a yacht in scotland…. so this seems like an alternative way of seeing some of those places I missed. There’s surely a book in all of this, if not a trilogy? That’d fund the rest of KTL? I have written two books – they are literally not worth the paper they are written on. Both are now on Amazon for 1 penny each – post and packing is £2.80. Books do not sell – especially not sailing books. It must be years since anyone wrote a sailing book that has sold enough to justify the time. The dinghy is just to allow me to go and see some of those places I missed. Sutherland was wonderful and I want to go back for more of the same. If I cannot get back in a proper boat then I will go back in an improper one. I have enjoyed the dinghy exploring along this east coast these past 14 months…. but I have seen most of it now and, as you know, I love not knowing what lies around the next corner. Jill is not entirely on-board with this plan. She does not see herself as a caravan sort of person – whatever that means. Went to a Tom Cunliffe talk this week, his books didn’t sell either, at least I didn’t buy one! Paid £12.50 for the privilege of listening to him waffle for an hour – maybe you could tout your time similarly if you could stand it. Dinghy looks good, better than the one I got off ebay last year for 99p. Bright orange and full of s*** – named it the Donald and sold it for a cool hundred after a jetwash. Craning in at Gibraltar point this sat at dawn. Always an outing on my grubby Hurley if you’re interested, It’d remind you of the slug!! I had heard that he is an excellent speaker ….. I loved his TV series. Why Loch Laxford? Is the SAC attracting you there? It looks like a lovely place to explore… what is the SAC? Special Area of Conservation (SAC). It will be a great place to use your wildlife film making skills. 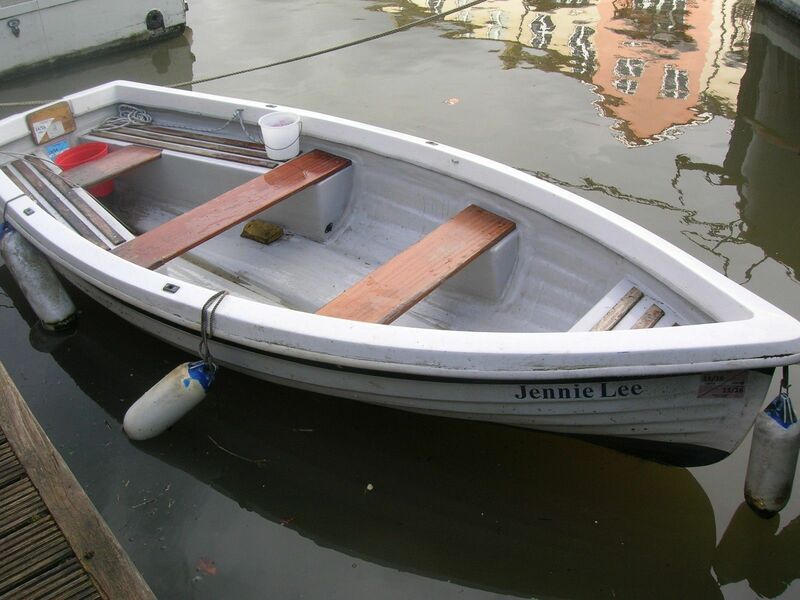 still got to make it pay ion some way – of course, a dinghy is cheaper to run than a Fisher…. aha – my decision to go back and have a look was based purely on the look of the place from Google earth – it looks amazing. I often see canoeists paddling in and out of the rocks – I am too old to canoe now but rowing a dinghy is fine. Good move Dylan. A much more appropriate dinghy. I was losing sleep over the idea of you exploring the lochs of Scotland in ‘Sweet Pea’. She’s very pretty but the extra length and volume of the Trout will make her an altogether more seaworthy option. A good buy. 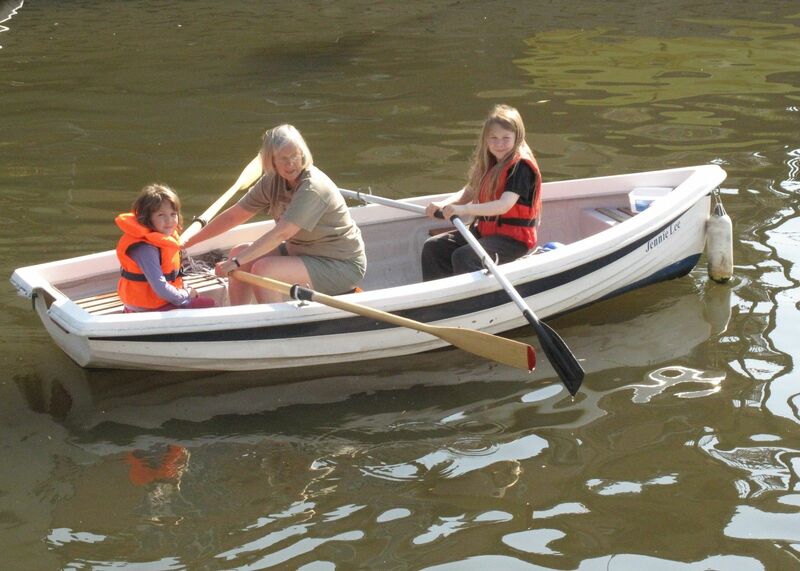 P.
I spent the winter using a similar dinghy on the river here – the extra two feet makes a lot of difference. I drove to Britsol today to pick it up. It needs a bit of a tidy up but it is only ten years old – the newest boat I have ever owned. What drives me nuts, is when I see children wearing buoyancy aids and the accompanying adult not. Nice upgrade from your other dinghy. Now, if it were just a couple of feet longer……..